What a beautiful set! 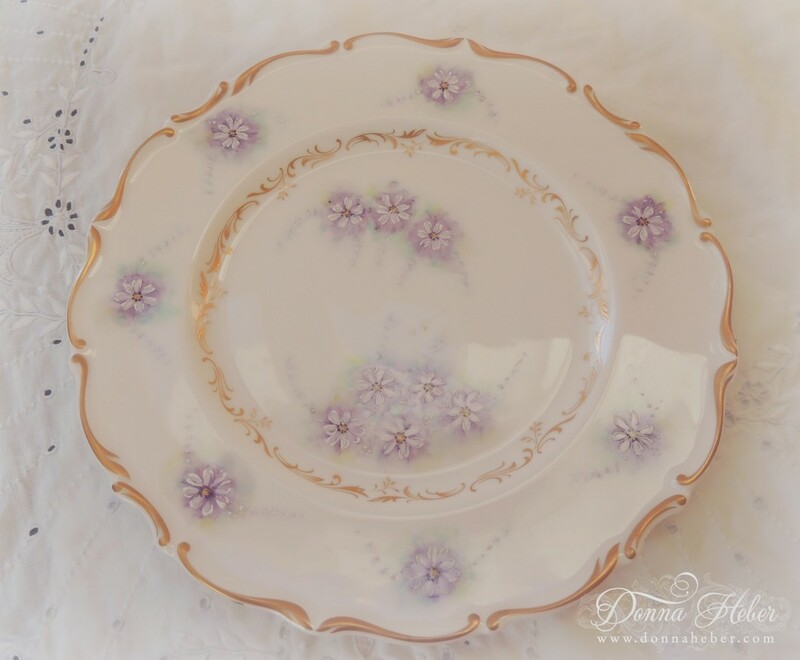 Love the daisies and lavender plate! Beautiful little teacup, I have a couple of footed ones too. What a beautiful tea set Donna. I love those colors also. Donna that Richelieu plate is so pretty. The daisies, and soft coloring are so feminine. Love it combined with the tea cup and saucer! Love the plate and the whole set! Beautiful photos. What a pretty, pretty set. I love that it is up on little feet. Makes it even more dainty! How lovely Donna! I love footed teacups, and that's a lovely Royal Doulton plate. 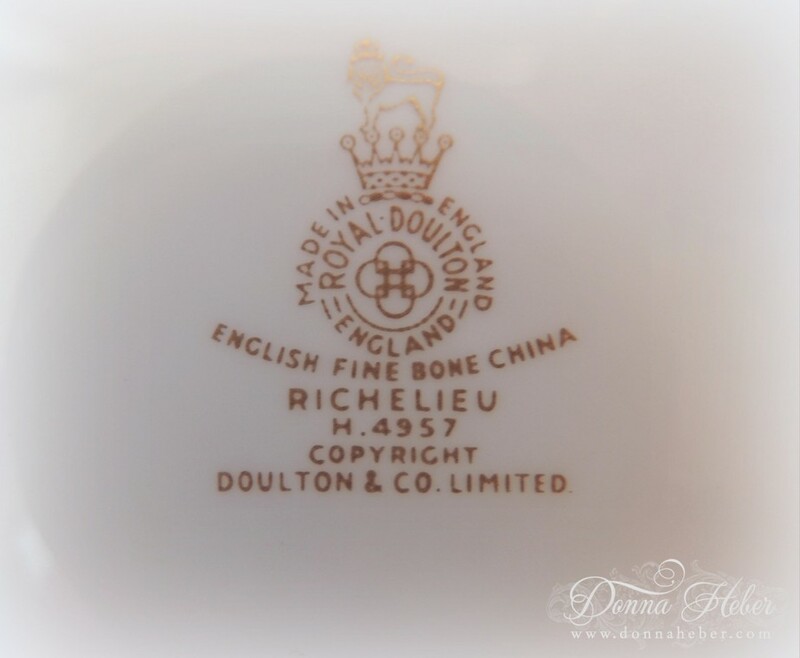 My best dishes are Royal Doulton! Thanks so much for linking to Tuesday Cuppa Tea! 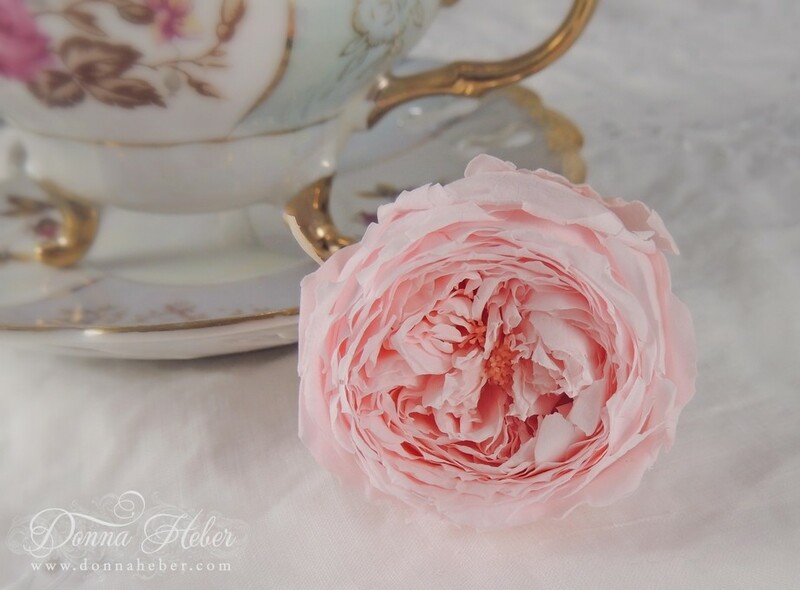 Your teacup and the plate are both such a pretty, feminine pattern. I would love sipping tea at your table. The white rose tea sounds delicious and one that I've never heard of or tried. I love Rumi teas. You found a wonderful Royal Doulton Richelieu plate and paired with your lusterware -- stunning! Happy Tea Day! 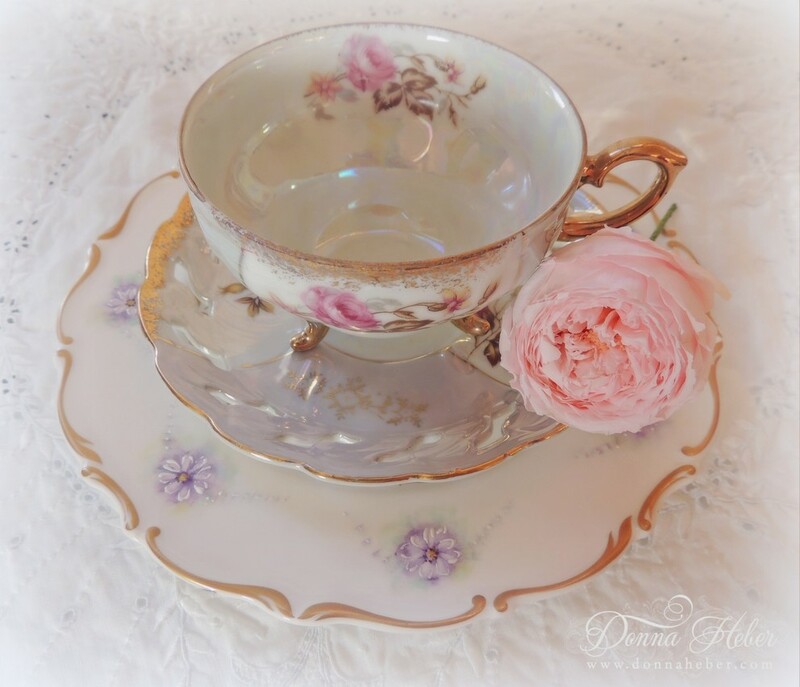 The RD plate is gorgeous and is paired beautifully with your pretty teacup and saucer. 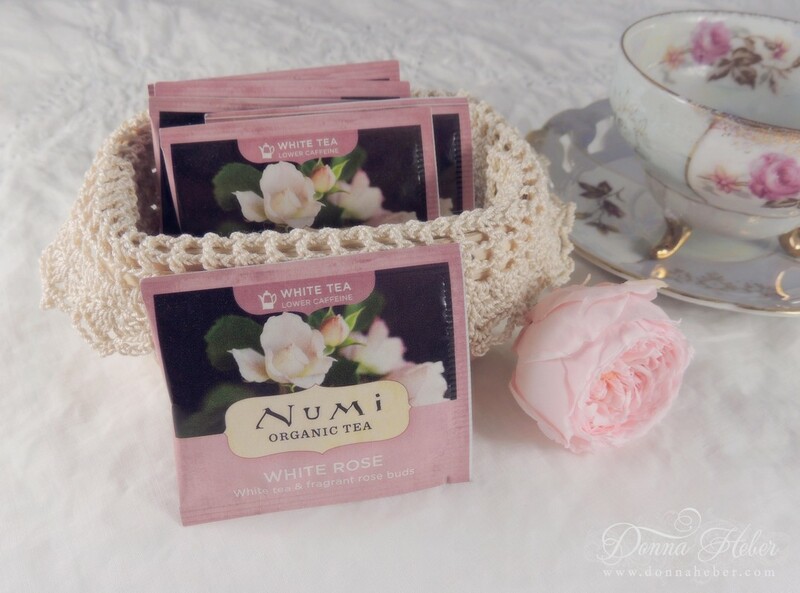 White rose tea sounds delightful. Thank you for sharing and joining me for tea. Thank you for taking the time to share such a lovely set of photos! The tea set is beautiful. Your trio set is beautiful! 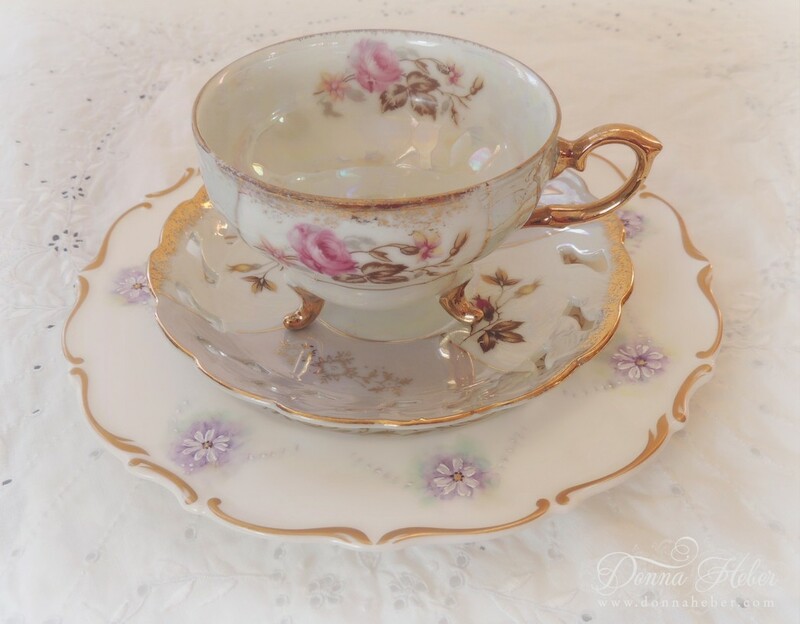 The Royal Doulton plate matches the teacup and saucer so well. It's so fun to make pairings with different sets of china. Thanks for sharing and visiting my blog. What pretty teacups! I've always liked lusterware but only have one (from Japan too) in my collection. Sweet, delicate, and absolutely gorgeous. 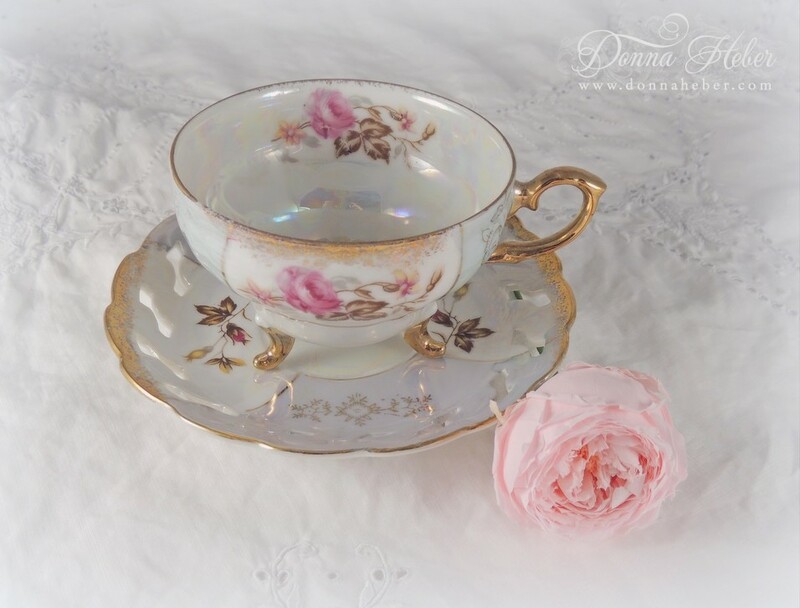 Hi Donna, your tea is very pretty :). I especially liked the Royal Doulton plate. Thanks for visiting my blog, and I hope you have a great week!